Bokor Hill Station 32 kilometers and 1,101 meters up from road 3 near Kampot, is the Bokor Hill Station, in Bokor National Park. Originally it's a small resort town,but it is now an abandoned ghost town and National Park (except for the many tourist and Park personnel). Usually, the road will be closed to tourist, but you can only find this out while you are in Kampot or by calling ahead to one of the tour services or guesthouses. Stay tuned for Bokor Resort, Bokor Fantasyland, Bungee jumping, Buddha Religion Land, Bokor Golf Course, Bokor Casino and many more Bokor facilities in the coming years. For the most part of the road, it is dirt, gravels and puddles. The narrow road winds its way through thick jungle and you will wonder how two vehicles can pass each other without colliding. If you are thinking of going up by car or minibus, be prepared for a rough ride. A motorcycle or 4WD would be better suited for the job. Even so, travellers should have some experience in off-road riding. Most famous for the abandoned Hotel & Casino at the top of the mountain, there is also a church, buildings for the former king, and either a view of fog or a view of Southern Cambodia and Vietnam's island Phu Quoc. There is currently construction, both on the road going up the mountain, and on top, to turn this area into a resort. There are stories of wild animals on the mountain, including lions and tigers and bears, and elephants, but if you actually see them, please send us a picture. Getting up to Bokor National Park from Kampot, take the road towards route 4 about 8 kilometers. On the right side, you will see a large plaque welcoming you to Bokor National Park. 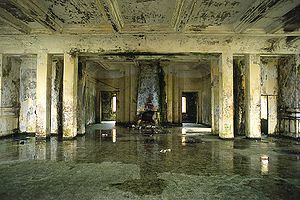 Just up the road is the Bokor ranger station where they collect a $5 entrance fee. You can take a dirt bike (not recommended) up to the top. Drive slow, (especially coming back down). If you don't have your own bike, big dirt bikes can be rented in Kampot for less than $12 per day. The drive up is not smooth or fast, but quite nice. You may want to bring some warm clothes as the temperatures, especially at night are much cooler, and there often fog or rain at the top. You can also get a ride in a pickup truck (either inside or in the back) for a day trip, including lunch for $12 to $25. Most tours leave from downtown Kampot. Walking is sometimes an option, but plan for a few day trip, with lots of gear. You'll need to check at the ranger station at the bottom of the mountain, to see if they'll let you walk. There are some sights to see on the way up, such as the waterfalls, and the old King's "staff" accommodations, so you might want to take a few rest breaks along the way. You should also bring something to eat and drink, which is really helpful if your vehicle breaks down. Once on top, there are some accommodations for about $5, or you can stay for free if you make your own accommodations. 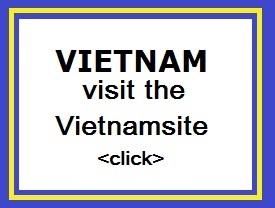 Most people stay in hotels in Kampot, Cambodia, and take the day tour up the mountain. You can also get the trip from Kep, Cambodia, but it's about 90 minutes more travel time, round trip. Currently, they are renovating way. Trees were felled to make this possible. 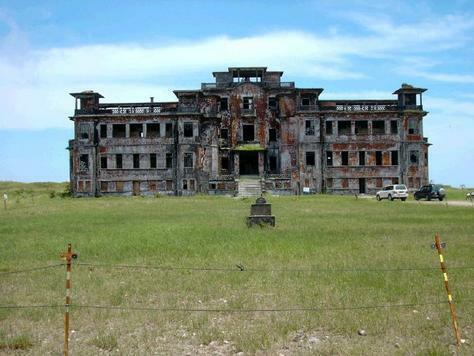 A paved road leads all the way to the top of Bokor Mountain to the former Bokor Palace Hotel and Casino. The Cambodian Sokimex company has been licensed to Bokor Hill project, which was officially a national park. The intention is, to bring back the old hotel and casino in their old glory. Whether this is going to happen, is another question. Concerns have been raised about the impact of the development of Bokor Hill on the wild animals that live here. These include, among others, tigers and elephants. And what else are they going to build? 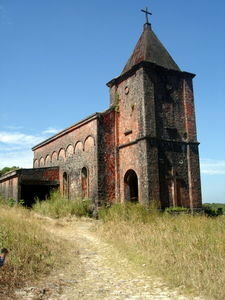 Hopefully not an ugly warehouse like, which is situated at the start of the hiking trail to Popokvil waterfall! 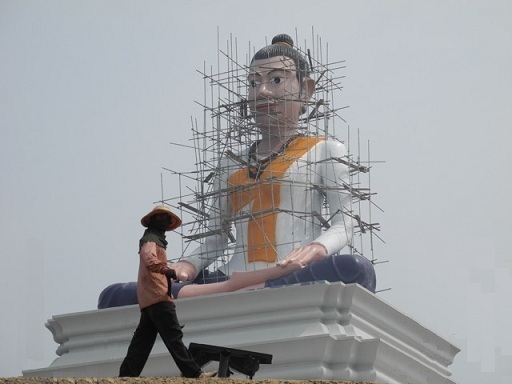 If you were not convinced destroying of Bokor �National Park� is in full swing, you are probably now. And then there is also the hydroelectric plant, which is already in operation. About 2,000 hectares of protected forest were cleared for the construction of the dam.